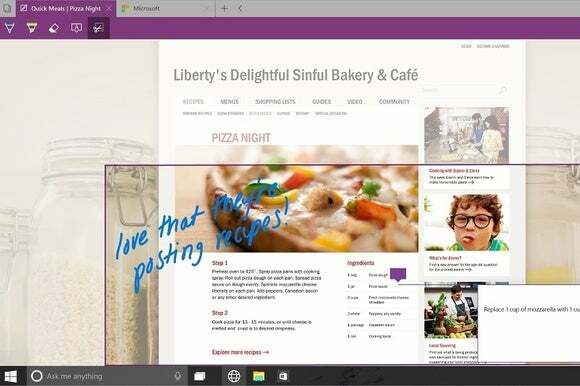 Microsoft’s upcoming “Spartan” browser will indeed have extensions, Microsoft confirmed Tuesday—eventually. Microsoft’s Internet Explorer team confirmed the addition in a Twitter chat. Microsoft formally unveiled the Spartan browser at its Windows 10 preview event last week. It's believed to be the eventual replacement for Internet Explorer within future Windows PCs. The build shown by Microsoft executives revealed a minimalist user interface. New features include the ability to take a live Web page and make it static, for the purpose of marking it up and commenting upon it. The browser will also trigger the Cortana digital assistant from Microsoft when necessary, such as for a page that discusses a weather forecast. The key, however, is that Spartan will eventually include extensions, the support for plug-in code that enables functionality not normally found within the browser itself. Microsoft’s IE team did not say whether the extensions it would support would be native to Internet Explorer, or if they would be shared with some other browser. Microsoft’s Spartan browser isn’t immediately available. It will be included in a future version of the Windows 10 previews, but it’s not clear exactly when. Microsoft plans to include both Internet Explorer and Spartan in future versions—IE for supporting “legacy” Web sites, and Spartan for modern Web apps. But there's a secret backdoor to Spartan now: In the latest Windows 10 Technical Preview build, users can toggle a hidden flag in Internet Explorer to enable Spartan’s new Edge rendering engine, and its significant performance improvements over IE11’s existing engine. Why this matters: From Adblock to video downloading apps, plugins have become a familiar and easy way to customize your browser. Internet Explorer may be the most prevalent browser in the world, but it notably eschews extensions. An extension-friendly Spartan could chalk up yet one more point for progress.